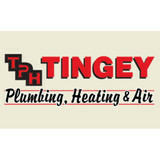 Tingey Plumbing & Heating Inc.
Our company offers full air conditioning, heating, and plumbing services. We cater to Salt Lake City, Park City Utah residents and those in adjacent areas. We offer nothing less than hassle-free installations and repairs including our Utah furnace repair and installation professionals. Our expert Utah plumbers offer prompt action for all your plumbing problems and installation needs. Our Salt Lake City and Park City Utah air conditioning, heating, and plumbing company offers nothing less than the best, so feel free to call us right away so we can help you get the job right the first time. Help us connect with you so we will know what you need and so that we will be able to prove our capabilities. Let us show you exactly what reliable, high-quality service means. 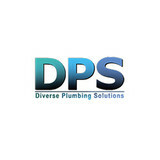 Diverse Plumbing Solutions is a team of professional and trusted plumbers in South Jordan, Utah. We pride ourselves on the relationships we develop with our customers. 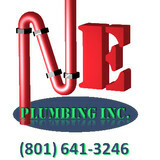 Our South Jordan plumbers understand that plumbing problems happen and you don't just want anyone in your home. That's why we like to go the extra mile to earn your confidence and trust. Murray Plumbing provides 100% complete satisfaction by providing honest and reliable options at an affordable price, backed up by a 1-year warranty. Our company offers unparalleled repair and installations, products, warranties and simply good old fashioned customer service. We specialize in designing, engineering, and installing complete comfort systems for existing homes and buildings – for families just like yours. The family business was started in Salt Lake City, Utah a little over sixty-five years ago. We believed then, as we do now, that focusing on the best products and services, combined with a common sense approach in meeting our customers’ wants and needs would pay off. And it has. Today, Whipple Service Champions handles over 134,000 service calls per year! While our company has grown, our appreciation for you – our valued customer – is still the same, as it was sixty-five years ago, when we first opened our doors. We still think it is the details that our customers appreciate: You will always know the price up front before we ever do any work. We’ll put it in writing. Since we provide our technicians with Straight Forward Pricing Guides, they have the ability to come out to your home and after thoroughly reviewing the problem, they can give you a price quote right then and there. Our trucks are so well-stocked that it’s likely that we will have the parts necessary to complete your job, without making a run to the supply house. That will save you time and money. At Whipple Service Champions we understand that there is never a good time to have a problem with the plumbing, heating or air conditioning in your home. That’s why – with the exception of a very few high demand, peak days per year – we never charge extra for after-hours calls. Our service technicians are the most qualified available anywhere, specializing in service, repair, maintenance and installation of all plumbing fixtures, equipment and piping, as well as heating and air conditioning. Our technicians undergo 100 hours of company-paid training a year to ensure they remain the best of the in our industry. Because of our careful screening and strict hiring policy, you can rest assured that our service technicians are clean and professional and will complete the job right. We look forward to serving you and your family for decades to come! Mountain Side Plumbing has over 25 years experience in the plumbing trade and 20 years contracting in the Salt Lake Valley & surrounding areas. We are a plumbing contractor who specializes in both new construction and remodels. We also have a showroom with the latest kitchen and bath products and an expect who can help walk you through the design process. 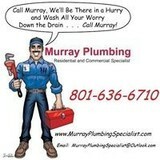 We are a full service plumbing company that specializes in both residential and commercial plumbing. Of course there are a lot of choices around Salt Lake when choosing a plumber, see our article below on "How To Find a Good Plumber". Our website has been put together to help educate Salt lake residents about our services and what makes us uniquely different than other plumbers in Utah. 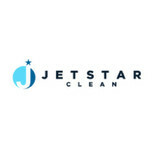 We are a small, owner operated plumbing company but are capable of handling small residential plumbing jobs as well as larger commercial projects depending on the size. Master Plumbing - All aspects of plumbing including repairs and remodels. Leak detection water heater repair and installation, water filtration system installation, water softener installation, gas lines, sewer and water mains, sprinkling systems and more . . . Happy Pipes Plumbing is a local plumbing service provider that has been striving for complete customer satisfaction in the Salt Lake City region for over 15 years. Our master plumbing contractors are capable of completing all repair, maintenance and new installation work to the highest of industry standards. We also have an emergency crew prepared to respond to urgent plumbing matters 24 hours a day in the region. Plumbing Utah is a team of master plumbers serving the entire Wasatch Front with outstanding warranties and customer service. Connect Heating and Air provides quality plumbing, HVAC, and electrical with deliberate communication and professionalism through conversation, project design, and completion. We don't just build projects, we build relationships. A plumbing contractor handles the installation and repair of water, sewage and natural gas pipes throughout a home, as well as interior and exterior faucets and fixtures. Plumbing contractors are also trained to work with water mains, septic tanks, laundry appliances, water heaters, sump pumps and other plumbing and pipe systems. Because plumbing repair work is done largely behind walls and beneath floors, some plumbing companies can also patch or replace tile, stonework and other surfaces. Although some Layton plumbers are generalists, others specialize in specific areas; a 24 hour emergency plumber will handle urgent residential repairs, while others may be more skilled in remodeling, natural gas lines, overhead sprinkler systems and more. Find a local Layton plumber on Houzz. Narrow your search in the Professionals section of the website to plumbing contractors in Layton, UT. You may also look through photos of Layton, UT projects to find a licensed plumber who has worked on a project similar to yours. Here are some related professionals and vendors to complement the work of plumbers: General Contractors, Septic Tanks & Systems, Kitchen & Bath Designers, Kitchen & Bath Remodelers.